Shinsegae DF, the duty-free arm of the South Korean retail giant Shinsegae Group, reported 3.2 billion won ($2.8 million) in operating losses for its quarterly performance, despite 114 percent increase in sales. According to the firm, it earned 579 billion won in sales in the third quarter this year, marking a 114 percent jump on-year. Its operating losses came to 3.2 billion won, a dramatic fall from a 10 billion won operating profit in the last year. Shinsegae DF officials cited construction and marketing costs for opening new duty-free stores this year as reasons behind the operating losses. In July, the company opened a mammoth 13,500-square-meter duty-free store inside the Shinsegae Department store in Gangnam, the first downtown Seoul store since its Myeong-dong location in 2016. Shinsegae DF is the third largest duty-free operator following Lotte and Shilla in terms of market share. Industry insiders, however, have predicted the figures to turn into profit in the coming years. 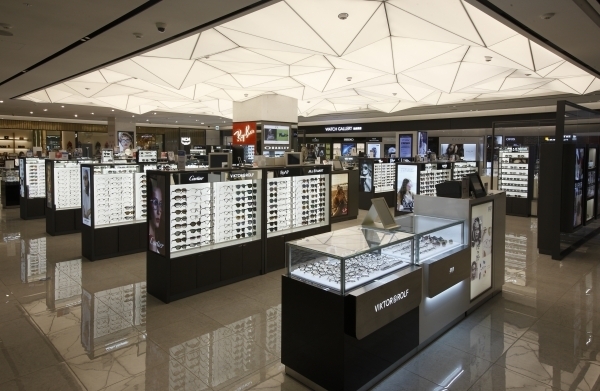 “Considering that its new duty-free store at Gangnam will see an increased number of tourists mainly due to its advantageous location, it is expected that Shinsegae DF will make profits from 2020,” said Heo Na-rae, a researcher at Korea Investment and Securities.